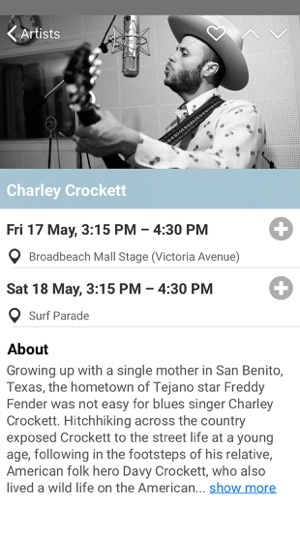 Blues on Broadbeach Music Festival started in May 2002 and is one of Australia’s largest non-ticketed music festivals. 18 years after its humble beginnings, the multi-award winning festival has grown to become an event of international standing. 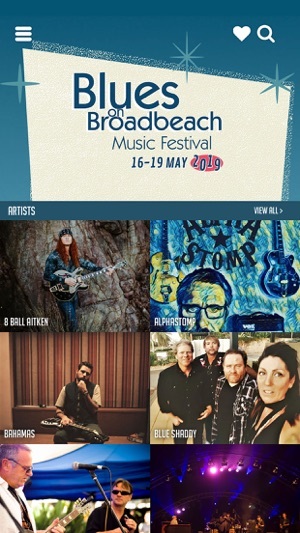 Each year the festival remains a highlight on Queensland’s calendar of events and its location is fast becoming one of Australia’s premier entertainment hubs. Updated artist, program and event info. 1-The SET TIMES page is excellent - you can select days and venues so you only see what you want. There should be an ALL option for the days though. 2-The MY PLANNER is a good idea - being able to add an artist’s set to a schedule is a convenient option. 3-The search function on the ARTISTS page works well, as it searches as you type. 1-The ARTISTS page is a mess - no sorting options? You should be able to sort by alphabetical order as well as chronological. You should also be able to filter the artists by day. 2-The EVENT MAP is hilariously weak - just a picture of a map? You should be able to click on each venue and have it open up in Google Maps so you can use it to get there on time. I’m sure that the businesses in Broadbeach would like that addition. 3-Why cover the top third of the app’s HOME screen with a YouTube promo video? If we’ve downloaded the app, then we don’t need you to sell us on going. 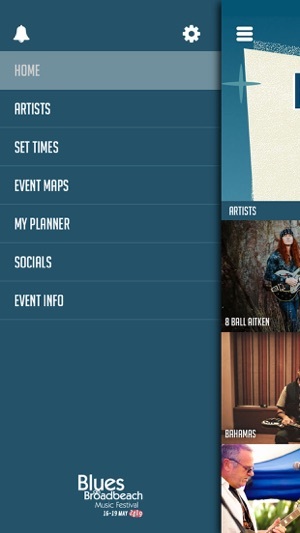 4-The MY PLANNER should let you delete an artist by swiping left - this is standard on iOS apps. 5-Tapping on the red tick “removes” the gig, but it’s still visible until you reload the MY PLANNER. 6-When you tap on the search icon, you should be able to type immediately, instead of having to also tap in the search bar. 7-There’s an iPad version, but the app doesn’t show up from a search on the iPad App Store, which is strange. Plus, the app doesn’t even fill the screen on a 12.9-inch iPad Pro. CONCLUSION: It’s OK but not that user-friendly - lots of room for improvement.